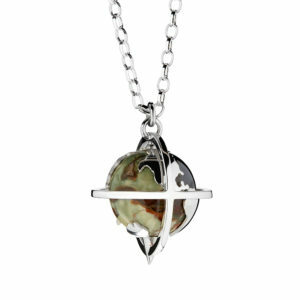 Tactile, playful and exquisitely crafted, the spinning Explorer Pendant makes for the perfect gift for any intrepid traveller or holiday enthusiast. 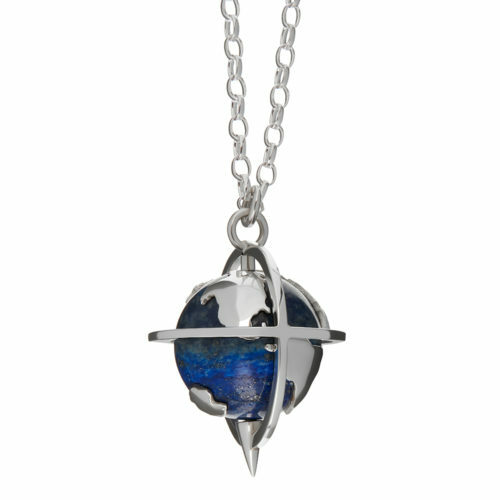 Set with a lapis lazuli globe overlaid in silver, this piece can be customised to immortalise a favourite destination or memory. Simply choose your desired country from the list below and we will set a diamond in that special location.